Likes: Burgers, fries, ham, chicken, pizza, sausage, noodles, eggs, cheese and everything else on your grocery list! Always hungry and fiercely lazy, Forsythe P. “Jughead” Jones III is best recognized by his insatiable appetite and interesting choice of headwear. Archie’s best pal has a tendency to eat superhuman amounts of food in a single sitting, and never gains a pound! He seems to have a sixth sense when it comes to chow—he can tell when it is near and devours all of it soon after! Unlike his starry-eyed best friend, Jughead is much more analytical about a lot of things. Considering how much trouble it gets Archie in, Jug is a little wary of dating! 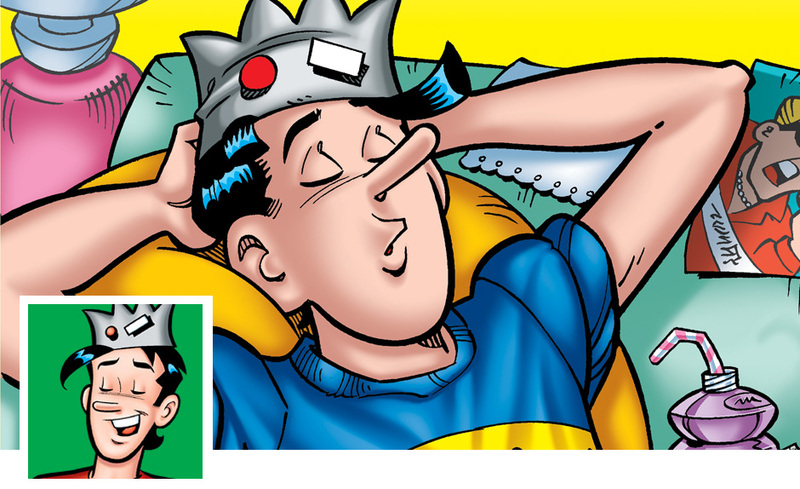 The unique hat Jughead wears is actually a good luck charm that he never takes off. Bad things tend to happen when the cap is removed, such as his female foil Ethel stealing a kiss! Jug is also surprisingly sharp and witty compared to his casual demeanor. He prefers to march to his own beat, and his genius usually goes unacknowledged. Want to see more of Jughead? Subscribe to AFTERLIFE WITH ARCHIE! Subscribe to JUGHEAD & ARCHIE COMICS DOUBLE DIGEST! 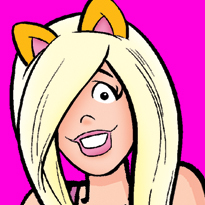 Shop for JUGHEAD Graphic Novels! Download the ARCHIE COMICS APP, available for iOS or Android! Graduate from Riverdale High with Betty & Veronica!